For the last 7 years, Steve has been a champion for Ronald McDonald House. He’s helped promote workplace giving at Mt Arthur Coal and been behind the push to have Ronald McDonald House included in BHP’s matched corporate giving program so every dollar donated by staff is matched 2:1. “The work they do is truly incredible, and there’s been many people from our region that I know personally who have used Ronald McDonald House at a time of crisis.” says Steve. You can be a champion for sick kids and their families in your workplace too. Eighteen year old Naomi Hayes from Woy Woy on the Central Coast has been working at Woy Woy McDonald’s for the past 4.5 years as an Area Leader and is know as the “Coffee Queen”. Naomi is studying Business and started her own company - Cakes by Naomi - when she was just 14 years of age. Naomi is self-taught and does amazing work. She wanted to raise some money for the Family Room so she did what she does best, baked two cakes, placed them on Facebook, and auctioned them off to the highest bidders. Naomi sold the cakes for a total of $401.00 and donated the full amount to the Family Room. Naomi and her family came to visit the Family Room and presented the Cheque. Charlotte McMurtrie is a Gorokan High School Year 11 student who was awarded a scholarship to participate in a world class coaching program with 25 emerging young leaders from Central Coast High Schools. Max Potential, in partnership with Clubs NSW, ran this program over 22 weeks. Each student had to pick a community service project. Charlotte chose the Gosford Family Room and focused on lending a helping hand to ill children and their families. 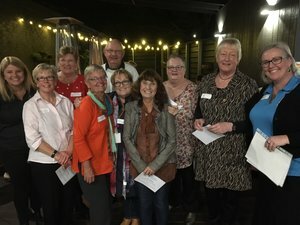 She organised donation drives throughout Wyong, creating gift packs to entertain and brighten the lives of our children who visit the Family Room in Gosford. Charlotte also organised a fundraiser at her school and has raised over $380.00 for the Family Room. She hopes that the student who gets to participate in the 2019 course will also help our Family Room. 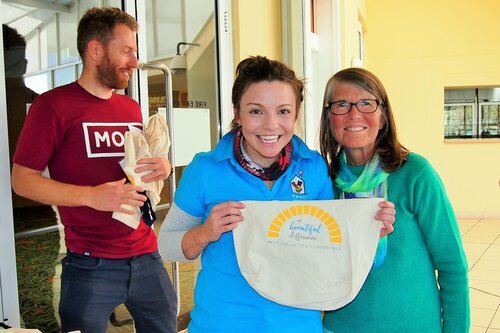 Sparke Helmore Lawyers is committed to making a positive difference for families staying at Ronald McDonald House. 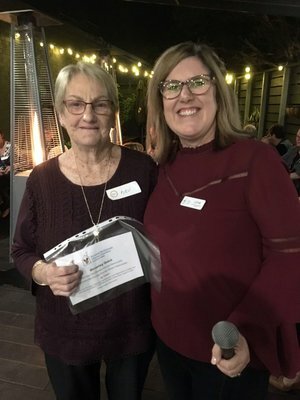 Initially, Sparke Helmore staff took part in the Meals from the Heart program several times each year and whipped up delicious dinners and desserts for families staying at the House. Wanting to do more, Sparke Helmore staff have also signed up for Workplace Giving. It’s a simple way to make regular, pre-tax donations and help keep families together with their sick or injured children. “My donation is automatically deducted from each pay and I get a tax benefit, which makes it easy for me. I’ve seen how donations have a big impact on the families at the House,” said Katy Mooney, Sparke Helmore’s Regional Pro bono & Community Manager. By donating a small amount from your regular pay, you can support Ronald McDonald House Charities Norther NSW and make life a little easier for regional and local families. Small donations all add up to achieve big things. To find out more or to arrange a presentation at your office, please complete the form below or call Donna on 4957 7783.